Even though this weekend is “technically” the last weekend of summer travel, if you’ve got kids, a trip to the grocery store seems like travel, so your packing really never stops. Or at least that’s how I feel! 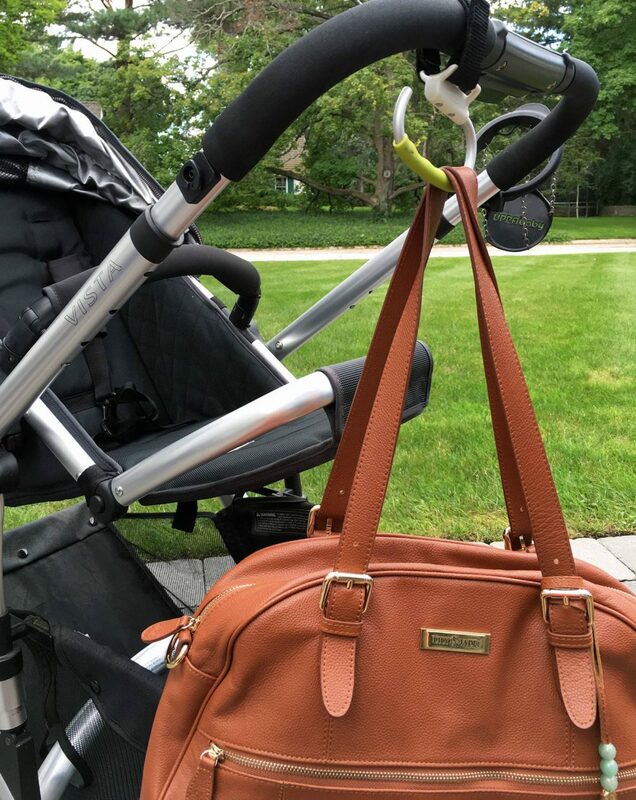 With two kids at very different stages, I feel like I’m toting around a small suitcase of a diaper bag to make sure we’re covered for any potential messy/hungry/needy situation. We’re always looking for the best kids travel products and I recently got to try some new ones from OXO Tot that I’m excited to share with you today. Jackson is definitely the easiest at this point, as long as you have a snack. 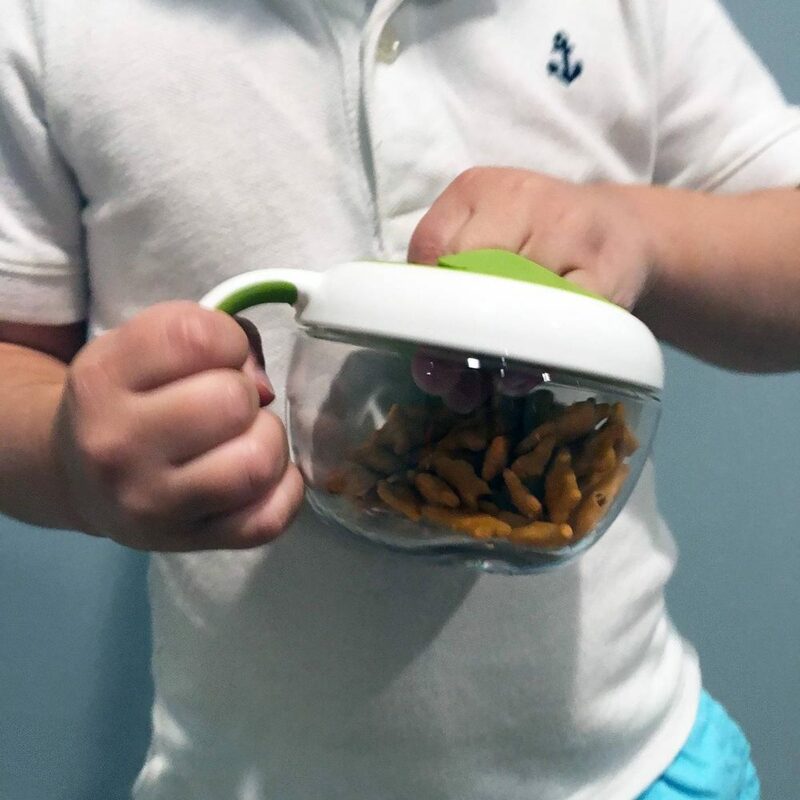 For car rides, we like to make sure we’ve got something with a lid, like this Flippy™ Snack Cup with Travel Cover, to keep the goldfish or fruit snacks contained. It’s also great because I can throw it in my diaper bag or the bottom of the stroller really easily and not worry about a mess. We also try to contain that mess when it comes to drinks and this Transitions Soft Spout Sippy Cup Set is great for that. I’ll use it as a regular big kid cup when we’re outside at the playground just hanging out, or I may use the spout for when we’re on a road trip. There’s actually also a great Cleaning Set For Straw & Sippy Cups that you can get to go with it (which I found also works for bottles in a pinch!). For Dylan, we’ll never EVER have enough wipes. 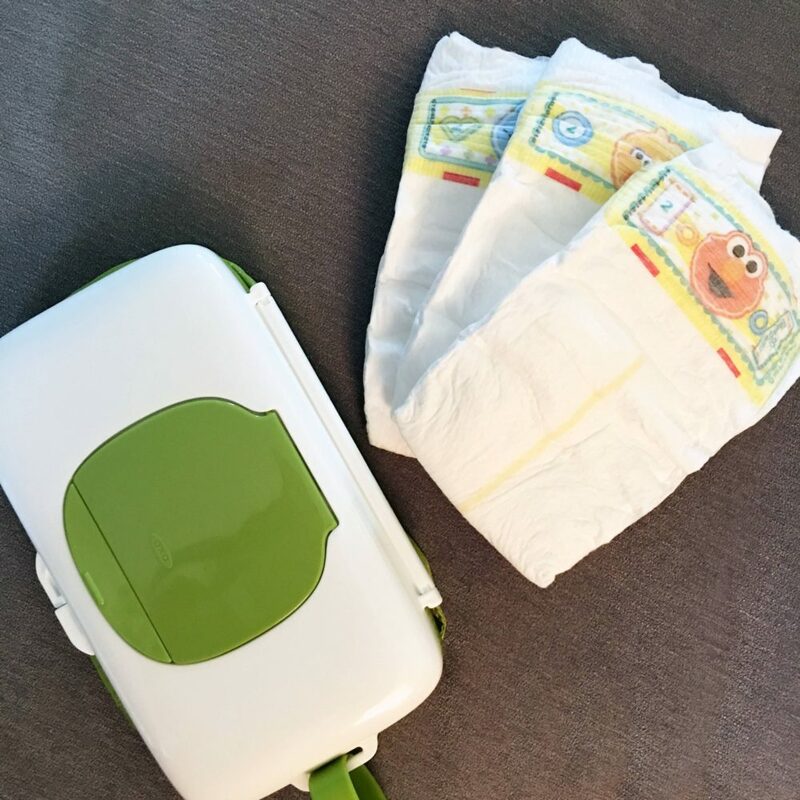 I keep this On-the-Go Wipes Dispenser with Diaper Pouch in my car kit so that it’s accessible when we’re out and about, but I can also easily grab it and put it in the basket of my stroller. It has a one touch button to open it, so it makes quick changes even easier. And that suitcase of a diaper bag I mentioned? Well I’ve really liked having a Handy Stroller Hook for when that gets heavy or I’m just tired of holding it. I never had one of these when Jackson was a baby and I’m so glad I tried one this time around – it’s a huge help! 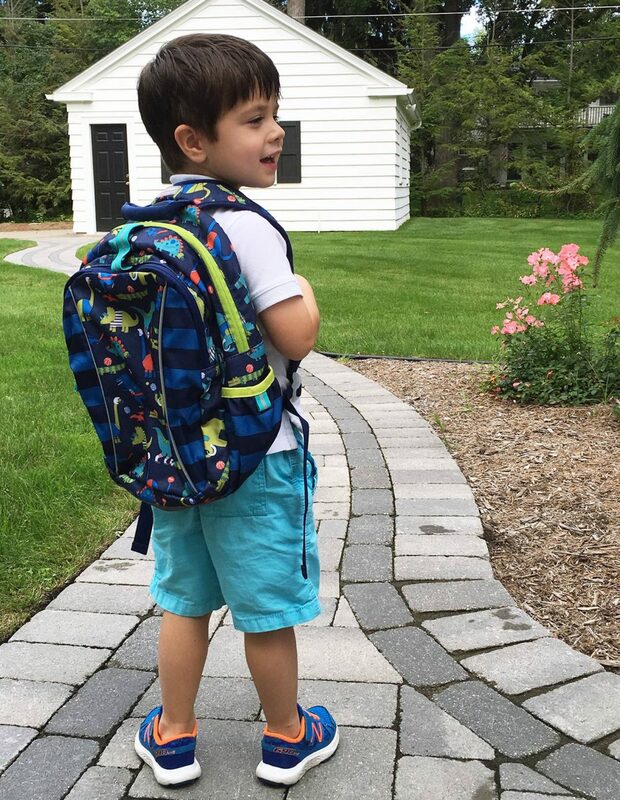 What are some of the best kids travel products that you can’t leave home without? I love everything you mentioned. The only thing that we ALSO throw along in the diaper bag are fruit/veggie pouches. With those, and all this OXO Tot gear, the travel arsenal is complete!